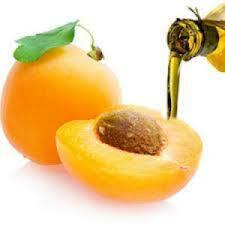 Properties: Apricot kernel oil possesses many therapeutic properties which make it suitable for its various uses. •	Emollient �" Apricot seed oil is a brilliant emollient (moisturizer). •	Anti �" Inflammatory �" It reduces inflammation when applied topically or when ingested. •	Anti-Aging �" It provides nutrition and support to the skin so that aging is reduced. •	Anti-Septic �" reduces risk of infection in open wounds and cuts. Apricot Kernels: The pit of the apricot fruit is often shelled and eaten directly or used in cooking similarly to the use of almonds. Oil pressed from the kernels has also been used for cooking in the Mediterranean for centuries. These kernels have been used in Europe for over 150 years in the treatment of cancer. Anti-cancer: Apricot kernels have been found to contain "vitamin B17", which is also known as amygdalin or laetrile. This molecule is also found in bitter almonds and has been touted as a cancer cure. Vitamin B17 is not actually a vitamin and it contains cyanide, a toxic molecule.